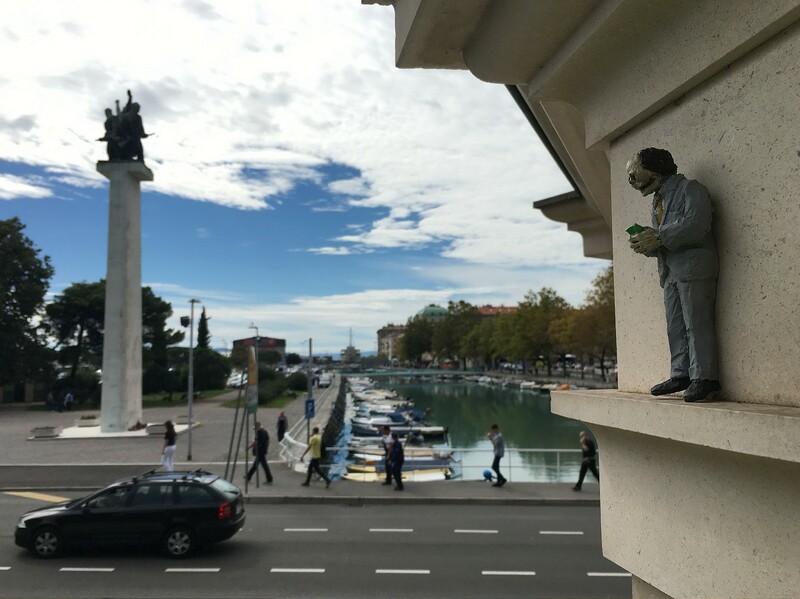 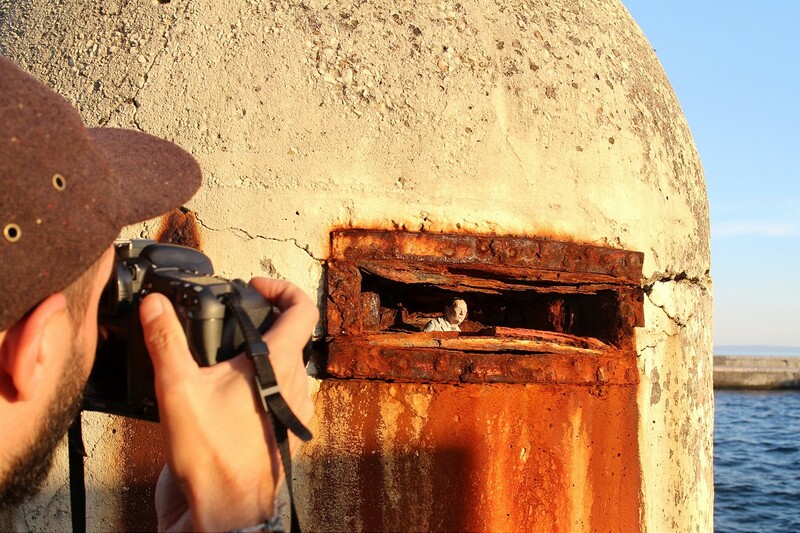 The Museum of Modern and Contemporary Art in Rijeka, Croatia, recently hosted Isaac Cordal as the next artist to participate in their Spajalica public art project. 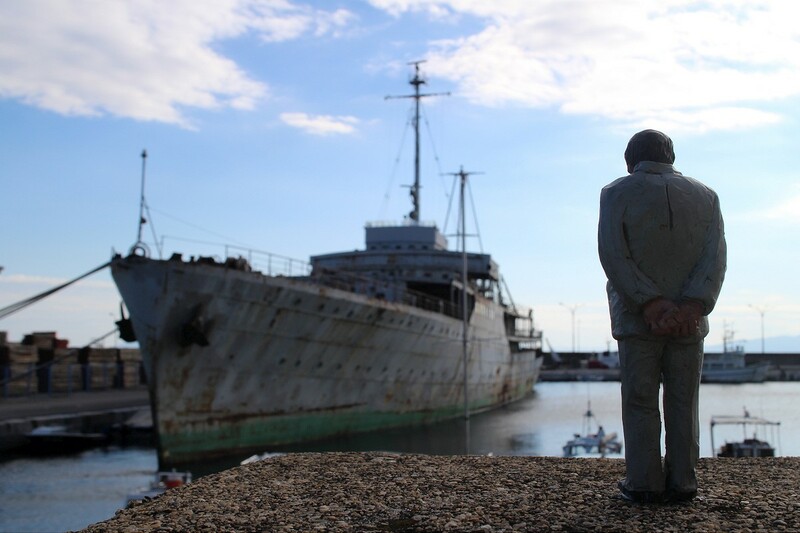 The Galician artist spent over a week in the coastal town working on a series of installations that continue his previous work. Inspired by the city’s rich industrial and cultural heritage, Cordal cleverly used the aged buildings and facades as backdrop for his recognizable work. 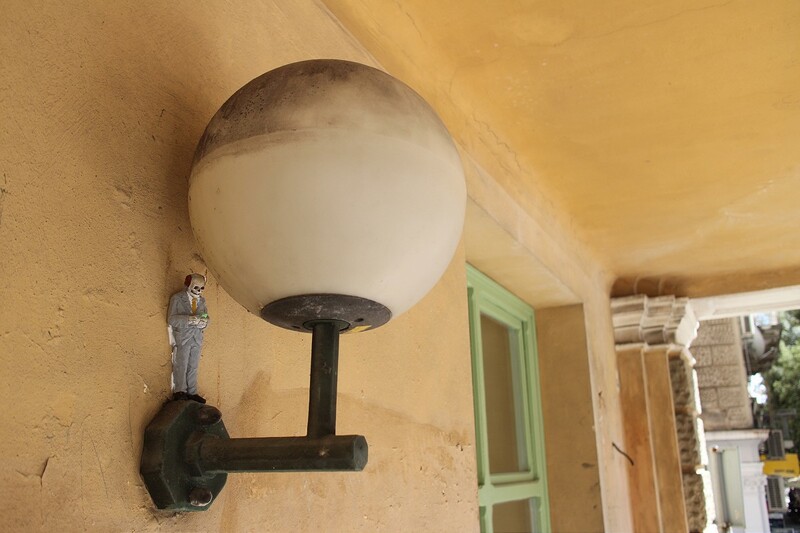 Armed with a ladder, reflective jacket, glue and bag full of works, he roamed the streets and alleys of the city’s center, old town and abandoned factories, placing his small figurines in strategic locations. 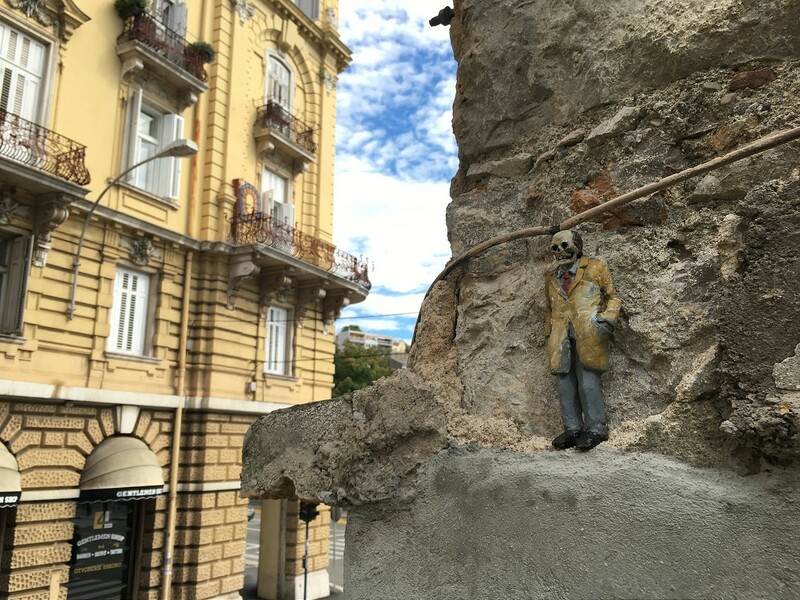 His corporate men and working class skeletons are now peering at real people, poetically looking down on their lives while mourning about their own destiny. 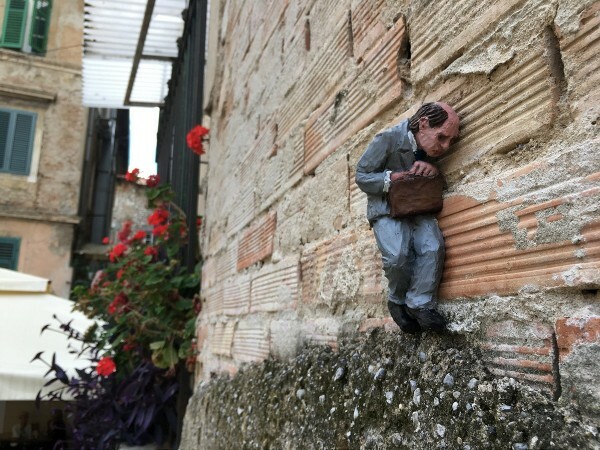 The Brussels-based artist also worked on a couple of temporary installations, incorporating the historic parts and elements of the city in his photographs. 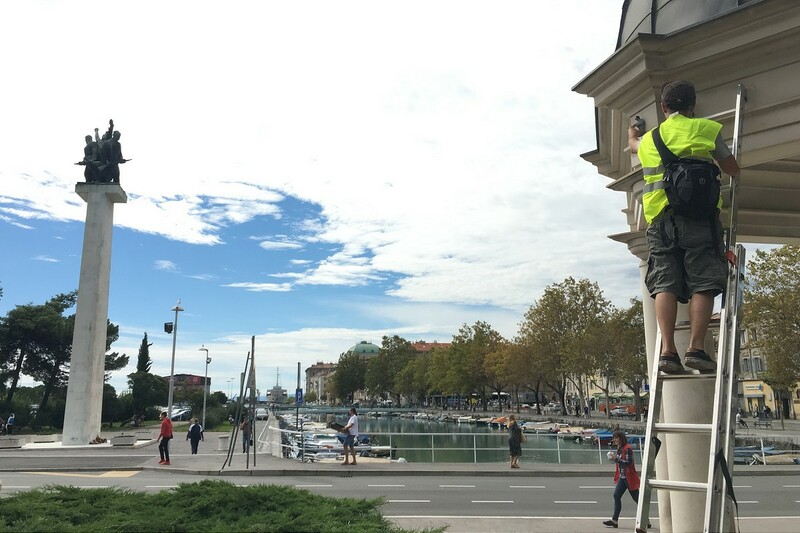 Finally, he created two new pieces from his mesh wire portrait series that will be permanently installed at the new museum building premises at a later date. 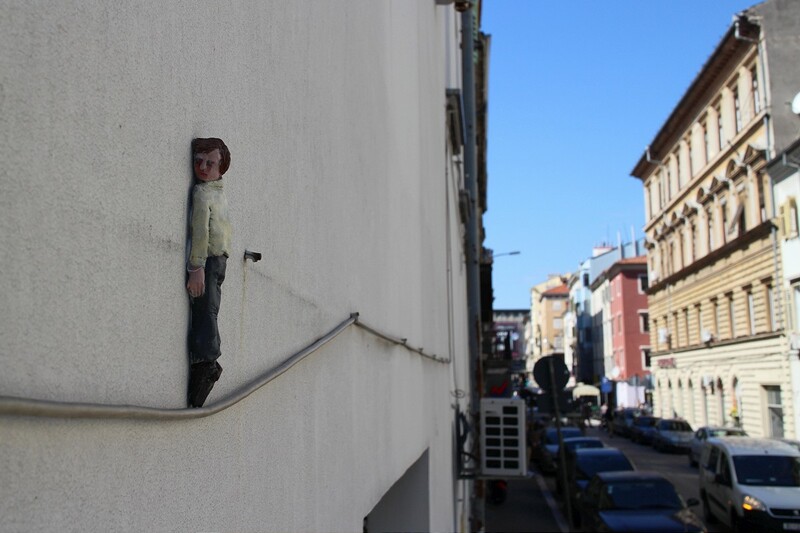 Categories: Features, Installation, Sculpture, Seen on Streets, Street & Urban Art. 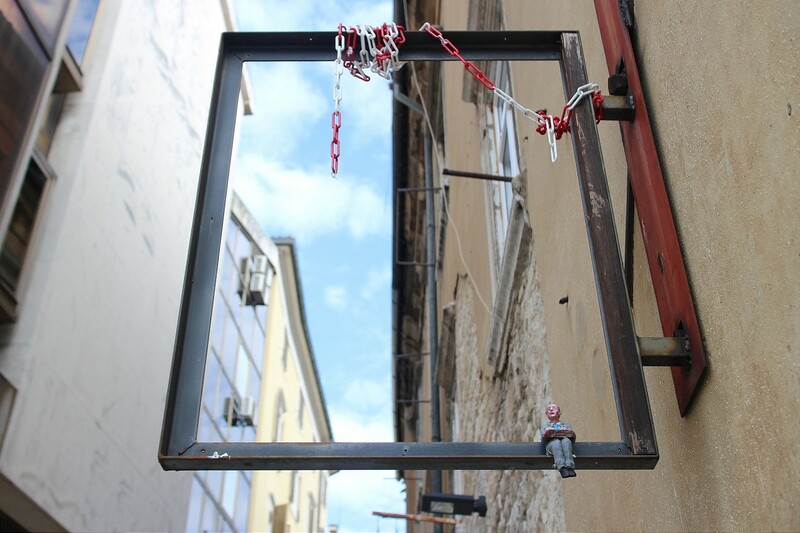 Tags: Croatia, Features, Isaac Cordal, Rijeka, Seen on Streets, Spajalica, Street & Urban Art.